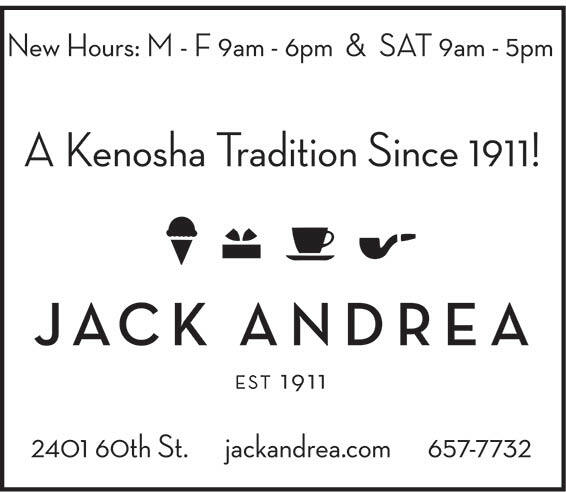 Andrea's is a 3rd generation store and we are excited to be have our Centennial in 2011! We are a gift store with much more! We have gifts, jewelry, fashion accessories, baby & childrens', bath & body as well as cards, books, gourmet & fine candies, premium cigars, pipe tobacco and pipes and, to top-it-off, we have an old-fashioned soda fountain cafe! Always have a good experience in this store, been going twice a year for four years. Love the selection and staff. My entire family has been customer's of your fine store for more then 70 years. I’m compelled to inform you that you have lost my business until the signs come down and you begin to respect the Bill of Rights. Anytime I am looking for a unique gift for that hard to buy person I go here. The only problem is I want to buy everything, so I spend an hour or so picking up an item & putting something else down!